Culinary Capers Catering & Events recently hosted an exclusive cocktail party at Waterview Special Event Space to debut their new Spring Menu. 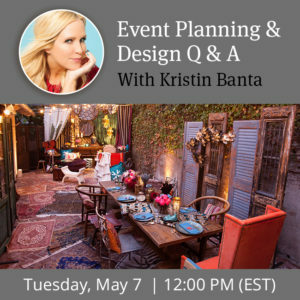 They also used AllSeated to facilitate the planning process and have shared the details from the planning and party with us for today’s spotlight! 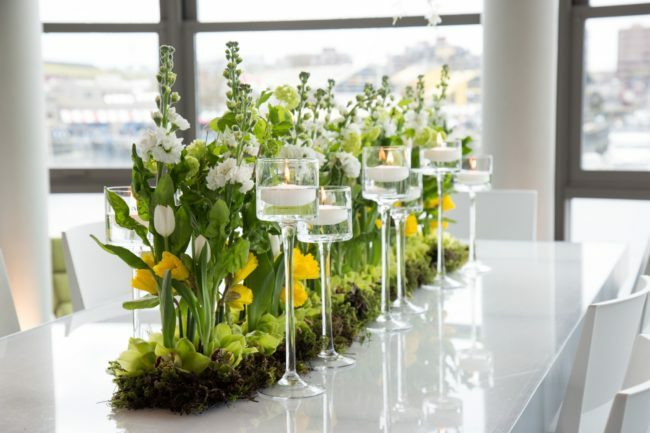 Attendees walked into a glorious indoor garden party-inspired event with florals and greenery cascading from the ceiling, and a room filled with daffodils other spring blooms. 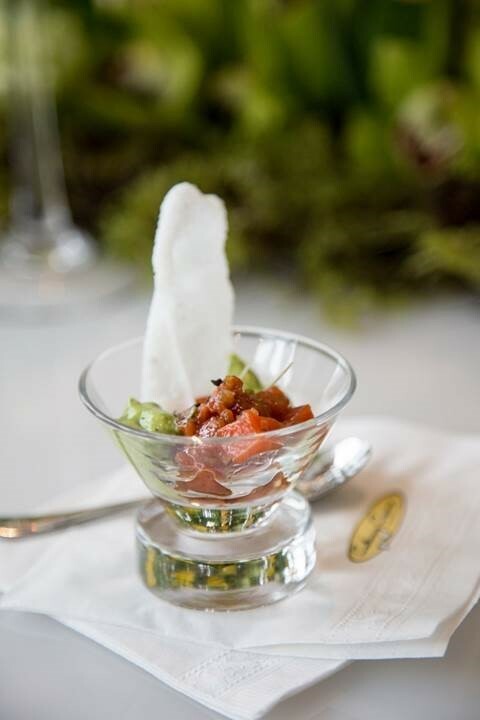 They experienced visually stunning, delicious cuisine, presented at interactive food stations while sipping innovative cocktails. The menu was custom designed by our Executive Chef Stewart Boyles, inspired by global cuisine, and his elevated take on the hottest trends on the street-style food scene. When spring is in the air there is no better way to celebrate than to throw a fabulous garden party. 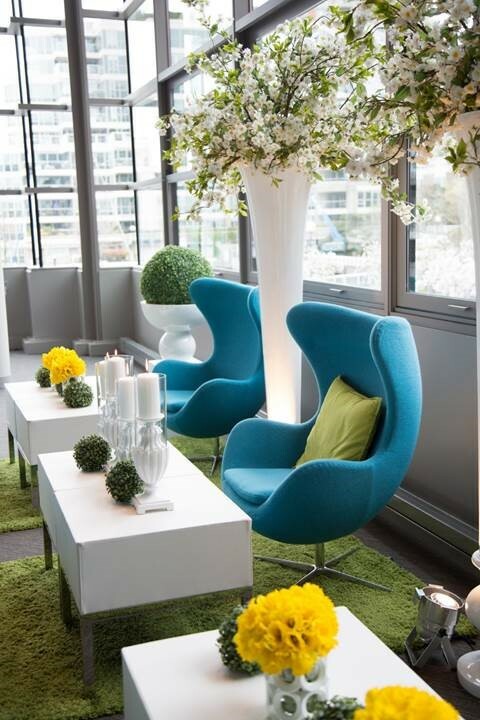 April in Vancouver, however can bring unpredictable temperatures, and often damp weather, so our team decided to celebrate spring’s arrival, and the debut of our spring menu with an indoor garden party. Guests arrived to the waterfront venue that had been transformed into a stunning indoor garden. With the use of cascading greenery, florals, and the intriguing textural elements of boxwood, Waterview was transformed into a sophisticated and photo worthy indoor garden. Culinary Capers worked with Koncept Décor and Flowerz to execute our vision. To set the tone for the evening, guests were greeted upon arrival at a unique boxwood bar and offered a signature cocktail. 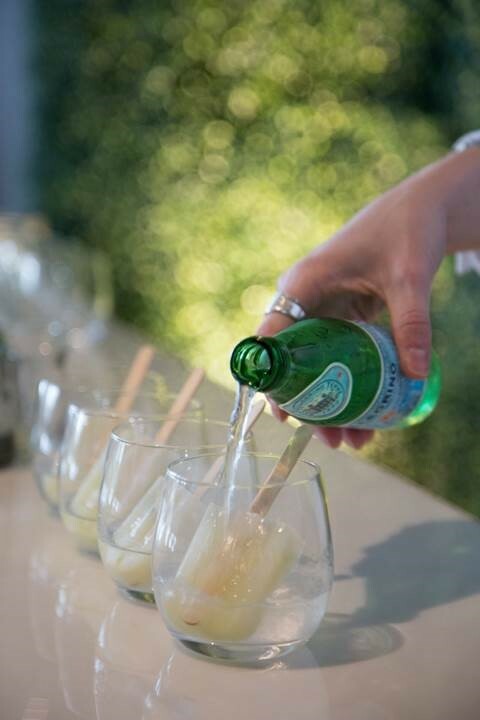 The Poptail Margharita consisted of Tequila, and Triple Sec, served in a highball glass, and garnished with a petite lime popsicle house made with fresh lime juice, simple lime syrup and fresh-cut lime. A Passion Fruit Elderflower Mocktail was also offered. The menu concept was built around the idea of guests enjoying an experiential evening. Keeping an eye on trends in the food world and customizing them into our own eye-catching, elevated creations made for a buzz-worthy, memorable menu. 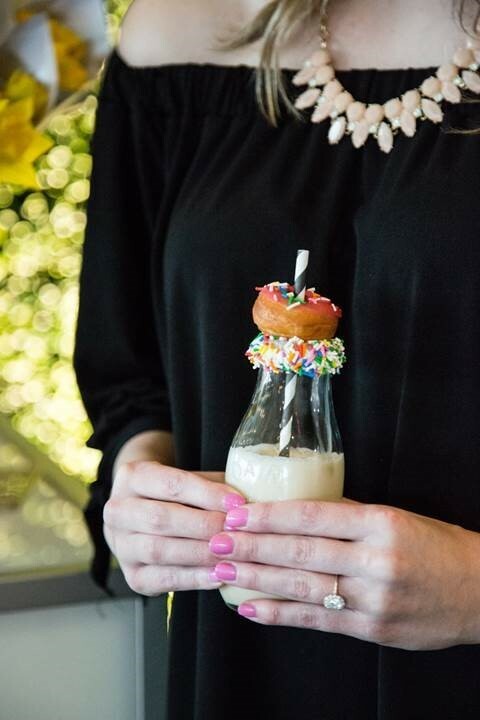 The menu featured beautifully presented and delicious bite size passed hors d’oeuvres, as well as chef attended interactive food stations, a roaming poke cart, a roaming milkshake and donut cart and delicious mini meal stations. Highlights included the much talked about Bao Bun Station. Bao Buns are a Chinese and Taiwanese street-food staple whose star is quickly rising on the food scene. 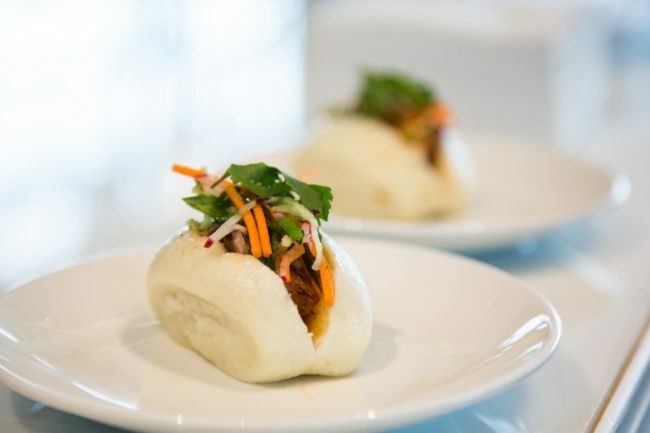 Our chefs offered their take on the pillowy steamed buns, stuffed with savory fillings, both classic and creative. We relied on AllSeated to help us collaborate to plan this event as a team. 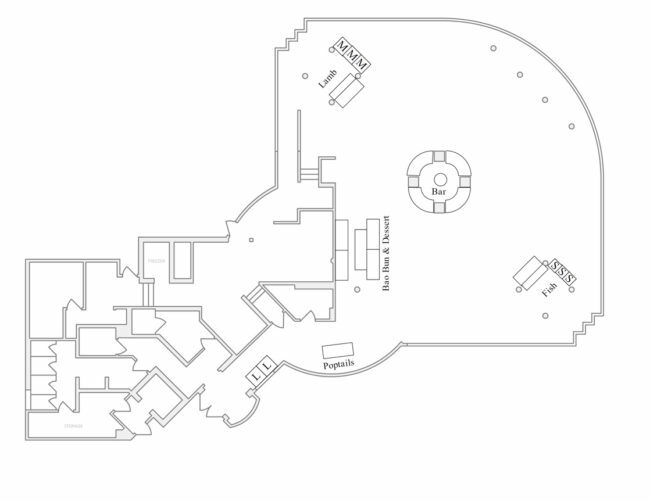 AllSeated enabled us to be able to easily share the floorplan which allowed each team member to execute their portion of the vision for this event with ease. On the day of the event, it also gave our supervisor and all our vendors an excellent guideline of the setup and vision for the event. 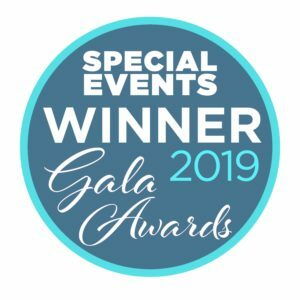 Learn more about Culinary Capers Catering & Events here.